(Washington, DC)- The Detectives from the Metropolitan Police Department’s Homicide Branch are investigating a homicide which occurred in the 1300 block of Saratoga Avenue, NE. On Sunday, December 22, 2013, at approximately 4:13 am, members of the Fifth District responded for the report of the sounds of gunshots in the 1300 block of Saratoga Avenue, NE. Upon arrival, they located two adult males suffering from apparent gunshot wounds. DC Fire and Emergency Medical Services personnel transported them to a local hospital. The first victim was treated for non-life threatening injuries. The second victim was subsequently transported from the hospital to the Office of the Chief Medical Examiner and pronounced dead. The decedent is identified as 24 year-old Michael Davis of Northeast, Washington, DC. This entry was posted in D.C., Dead, Man, Multiple Shooting on December 22, 2013 by usgunviolence. This entry was posted in D.C., Man, Multiple Shooting, Wounded on December 22, 2013 by usgunviolence. (Washington, DC)- The Metropolitan Police Department is investigating a homicide which occurred in the 900 block of Sheridan Street, NW. On Saturday, December 7, 2013, at approximately 8:58 pm, officers from the Fourth District responded to the 900 block of Sheridan Street, Northwest for the report for the sounds of gunshots. Upon arrival, they located an adult male suffering from apparent gunshot wounds. DC Fire and Emergency Medical Services personnel responded and did not find any signs consistent with life. The decedent remained on the scene and was later transported to the Office of the Chief Medical Examiner pending an autopsy and a determination of a cause and manner of death. 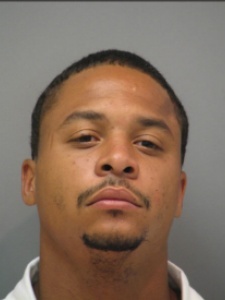 The decedent is identified as 31 year-old Demetrius Eccles of Northwest, Washington, DC. This entry was posted in D.C., Dead, Man on December 7, 2013 by usgunviolence. (Washington, DC)- The Metropolitan Police Department is investigating a homicide which occurred in the 200 block of Bates Street, Northwest. On Saturday, December 7, 2013, at approximately 12:10 am, police officers from the Fifth District responded to the 200 block of Bates Street, Northwest for the report of a shooting. Upon arrival, they located an adult male suffering from an apparent gunshot wound. DC Fire and Emergency Medical Services personnel responded and did not find any signs consistent with life. The decedent remained on the scene and was transported to the Office of the Chief Medical Examiner pending an autopsy and a determination of a cause and manner of death. The decedent is identified as 32 year-old Lamont William Hall of Southeast, Washington, DC. (Washington, DC)- The Metropolitan Police Department is investigating a fatal police involved shooting that occurred in the 1300 block of Queen Street NE. On Tuesday, December 3, 2013, at approximately 9:05 pm, members of the Narcotics and Special Investigations Division (NSID), Gun Recovery Unit (GRU) attempted to stop an individual, when the suspect produced a handgun and fired at the officers – striking one of them. The officers returned fire striking the suspect. Personnel from DC Fire and Emergency Medical Services responded to the scene. The officer was transported to a local hospital for treatment. The suspect was transported to a local hospital, where he succumbed to his injuries and was pronounced dead. The suspect’s remains were transported to the Office of the Chief Medical Examiner pending an autopsy. The suspect is identified as 19-year-old Darius Jamal Murphy from Northeast, Washington, DC. This entry was posted in D.C., Dead, Man, Multiple Shooting, Shot by Police on December 3, 2013 by usgunviolence. This entry was posted in D.C., Man, Multiple Shooting, Police Officer, Wounded on December 3, 2013 by usgunviolence. One of two men shot in Anacostia on Monday night has died of his injuries, according to D.C. police. The shootings occurred about an hour and three blocks apart. The victim was identified as Anthony Robinson, 26, of Southeast Washington. Officer Anthony Clay, a police spokesman, said Robinson was shot about 10:45 p.m. and was pronounced dead at an area hospital. The shooting occurred in the 1900 block of 17th Street SE, between Good Hope Road and Minnesota Avenue. Police said the victim had been shot multiple times. This entry was posted in D.C., Dead, Man on December 2, 2013 by usgunviolence.